Good afternoon all. As many of you know Janis from Pause Dream Enjoy has started a new blog Paper Play Sketches. The first challenge started Wednesday and I wanted to play along. Below is what I came up with for my first card. Yes, I may use this sketch again before this challenge ends. You can enter as many times as you want per challenge as long as you follow the rules. It's time to get started on Easter cards and projects since I missed Valentine cards and projects being sick and trying to get my energy back. So I made this cute little card. Do you like this card? Find it in my Etsy shop! So hop on over and join in the fun!!! This is simply Precious! 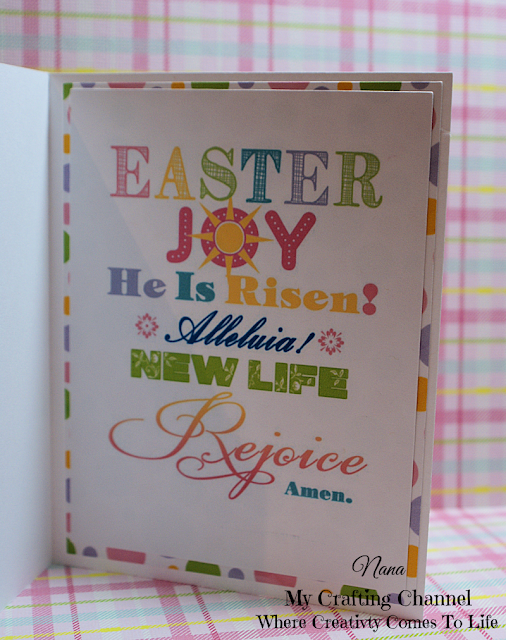 What a Sweet Easter Card! Thanks for linking up your project using our sketch at Paper Play Sketches. Our challenges are every other Wed. Link up as often as you’d like! Really, really cute card. I love how colorful it is. Thanks for linking up your project at Paper Play Sketches. Now & then we will post some of the entries to our Facebook page. If you’d like to be tagged if we post your’s, please friend request me on Facebook HERE and like our page HERE! Gorgeous card and I love the colors!! What a darling card! I love the polka dots! What an adorable card! I love that sweet image and inside sentiment! Thanks for linking up with us at Paper Play Sketches! What a darling image! Thank you for joining our Sketch Challenge this week at Paper Play Sketches. Wow, this is such a pretty card! I loved it when I saw it on FB! Great inside sentiment too! What a adorable card!! Great take on the sketch!! Love the soft colors and that sweet image!! !I hope you are feeling better!!!! Have a great day. Adorable card! The papers you used look amazing! Great take on the sketch with the Easter theme! Happy Valentine's Day! Beautiful and love the choice of colours and papers! What a cute little image!!! 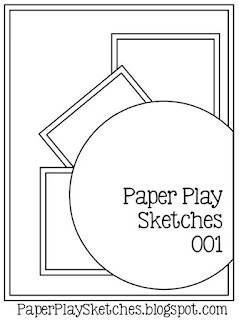 Thanks for linking up your project using our sketch at Paper Play Sketches. Our challenges are every other Wed. Link up as often as you’d like!